Veera in her standard regalia. "Some people say poison is a woman's weapon, I say.. Would you like some tea?" 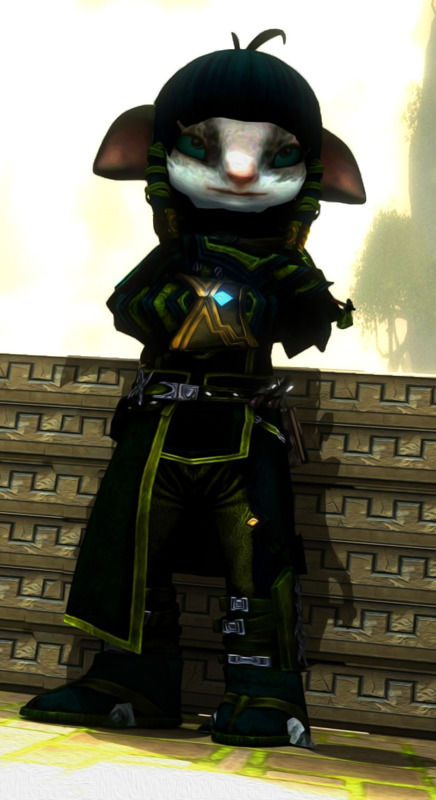 Physical appearance: Light skinned and on the short side even for an Asuran, nimble and slim with short stout ears, agile. She has broad depressions below her eyebrows, often casting a deep shadow in the hollows of her beautiful deep blue zircon eyes that could catch anyone's attention, and although she presents herself with dull and dreary resting expression, her small framed face with angled eyes give her a slightly welcoming, exotic look. Her perked cheeks help to frame a face so still it could be almost considered a mask. Additionally, There is barely noticeable burn mark concealed in the palm of her left hand, aside from this she does not appear to possess any scars except sporting the occasional cut or bruise. General appearance: Mostly seen clad in deep green leathers, always seemingly prepared for the worst with a cluster of poisoned daggers always at rest above her shoulder blade. There is also a bandolier slung across her chest with various vials and potions strapped into it,more on her belt, and a datapad embedded in her gauntlet. Her shoes seem to be made of a unusual looking soft linen, they look more like slippers, much different than the rest of her gear. They appear to be give her rugged grip whist also allowing her footsteps to fall silent, so quiet they'll go unnoticed by even the most keen ear. Even when she runs, only the softest pat can be heard. The only cosmetic items she wears are three decorative bangles and a headband to keep her hair in check. Mannerisms: Neutrally, Veera is soft spoken, talking in a near monotone fashion, her pitch only really changing when startled, excited or angered. She often sports a snickering smile when speaking, as if she knows something they don't, seeming suspect or mischievous with her narrow stares. She also doesn't care much for table manners, eating like a slob. Skills: Veera has a deep knowledge of alchemy and herbatology, creating many different sorts of potions and elixirs, her specialty has always been poisons. Her deft green fingers accompany her alchemical skills, identifying and picking nearby fauna for use in her brewing. She has often taken trips into deep jungle in search of exotic plants and poisonous animals to extract venom from, she learned much from these. How to survive in the wild, resourcefulness, tracking and stalking. In terms of combat and magical abilities, Veera possesses only a few magical spells from the 'Shadow arts' school of Denial, derived from old Canthan practices. She keeps these to herself however, as having the element of surprise is also part of her strategy when she is called to fight. Instead though she mainly focusing her efforts with alchemy to enhance her offensive and defensive capabilities, she has limited her magical capabilities deliberately to remain cloaked from those who could sense magical users when sneaking, though she is not completely invisible. She also has a knack for bartering when trading, showing off a bit of a sharp tongue she able to secure deals to much greater benefit to herself than her sellers as well as being adept at transporting goods covertly. Should she have the option and time, she prefers to fight her battles by proxy, playing a game of manipulation and extortion by pushing people and events into motion with little concern for others, as long as the deed gets done. Due to Veera's dedication to her niché studies she has somewhat fallen behind on more broader Asuran technologies, not able to offer useful insight on developing new machinations due to her lack of knowledge, sometimes feeling un-needed and falling silent during discussions of new tech, though she doesn't dwell on it. Unfortunately, Her acute frame and size also means her capacity of strength is much much lower compared to almost every other Asuran. She is more equal in strength and size to progeny, something she laments over and is frequently reminded of. Since she is so keenly aware of this, she makes use of her small size and stature to be elusive and stealthy. Because of her past, she struggles to connect with anyone close to her, making her somewhat of a loner, not that she does not desire a proper relationship which truly, she does. Just that she is too torn over her history, unwilling to open herself to up to others for fear that a repeat of a certain disturbing event may happen again. She would not be able to live with herself, whatever happened back then clearly changed her for the worse, making her become the more cold and distant individual she is today. This has also scorned her with an unrelenting paranoia that she perfectly hides behind her amiable façade. "How can this benefit me?" Is usually Veera's first selfish thought when thinking to handle any situation, other people that may gain or lose from any decisions she makes are not done out of fervor or contempt, but are merely a by product of her own personal gain, though she'l make sure it doesn't appear that way. Veera would put forth the ideology of Freedom, or Anarchy, as her world view, though it is her own freedom that comes first. Good and Evil come second to her own needs. She operates within the rules of society for convenience sake as it draws no attention, but having no problem going against them should it be beneficial for her to do so, abusing the system she herself uses for her own protection where necessary. Laws, Rules, Contracts are just words written down on paper, Compliance is optional.. The horticultural section of Veera's lab. When she worked with the MMK she was lead alchemist and took charge of concocting and brewing the potions the Krewe sold when not working security, helping them create and sell more of their wares to drive profit to the company. Though her real alchemical work took place independent from them. 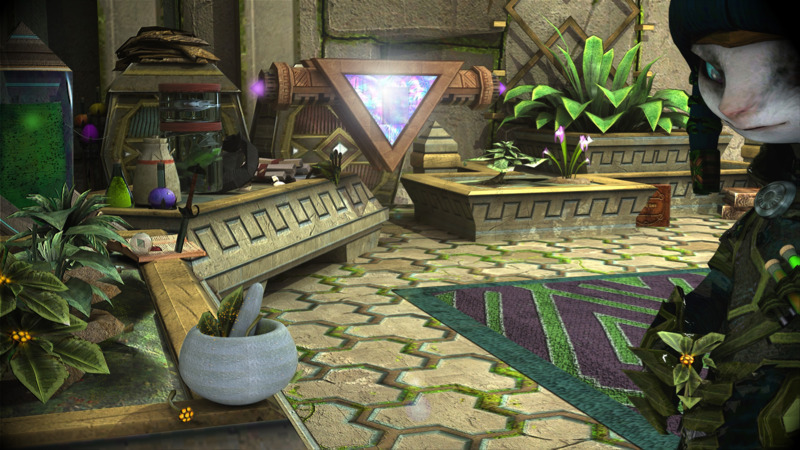 Veera operates on two fronts when trading privately, selling some of her standard poisons, pesticides and elixirs publicly. With some of her more devious and sinister poisons and elixirs sold under the table, done so due to their morally questionable and dangerous applications. Only people with sinister intentions would buy these usually, something she would know of the buyer before even considering offering them her selection. She usually trades with coin, but is also known to trade recipes for her more mundane creations. Possibly Veera's safest invention, suitable for use by anyone when handled properly. It is a small sealed vial containing a clear liquid which, once shaken, charges the particles inside through kinectic force, causing them to emanate a blue light which fades after a time when the ampoule is at rest. A great emergency light source that has near infinite re-usability. While she uses a stronger glass to make it durable, it can still be shattered if handled carelessly. A thick gooey yellow, honey flavoured potion that works on the brain, preventing the chemicals that would make a person tired taking any effect. Allowing the drinker to stay awake potentially indefinitely, though doing so is not recommended and considered careless use. 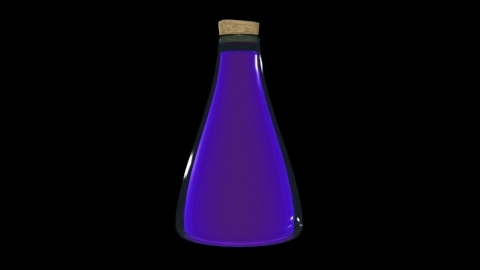 Due to the composition of the potion it has a slightly addictive nature to it, and should only be used in small doses. 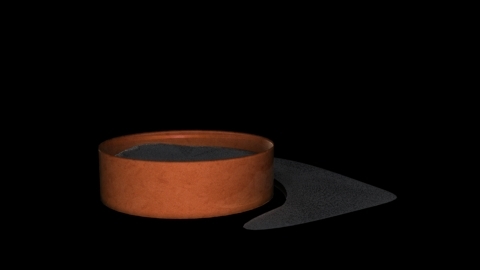 A highly dangerous substance once activated as it can burn through near any material due to it's incredibly high burning temperatures, enhanced futher through a complicated series of alembic distillations, it burns so hot it can burn right through the very crucible used to help create it. A unique product in that she also offers customization for how the user would like it. Using her skils she can adapt the formula to suit a customers needs, it can be a paste, a powder, ignite through contact with different substances (fire, electricity, metal, pressure) and so on. A great addition to any adventurers repertoire should they have a need to burn through a door or a locked chest, for example. Veera's adept skills at creating poisons allows her to make custom made creations specific to buyers tastes on request. If one would be interested in buying a certain kind of poison or toxin. She would be able to accommodate any requests with ease, though she charges higher than standard alchemists for her higher quality substances, and if she thinks you lack any skill in bartering she will charge as much as she can get away with. For the more specifically devious buyer, Veera offers specialty poisons. These ones can be considered only for cruel intents and purposes, killing crops and hunting animals are not excuses that you could get away with when purchasing these. Often used for interrogation of subjects and torture. These could accelerate a 'confession' out of anyone, or simply cause insufferable, yet non life threatening pain to the receiver. An incredibly dangerous concoction if put in the wrong hands. Viscous and sticky, this purple tinted mix is so intricately designed that it's scent is different for every user, always whatever smells most pleasing to them. It's purpose is both create a stable source of gold and to force the drinker into indentured servitude through addiction. It is sold to unaware buyers as a stress and anxiety relieving potion which upon first consummation, it is, giving off an almost euphoric feeling. The effect soon wears off however leaving the drinker feeling empty and worthless until they can get more of "The good stuff". Unlike most other addictive drugs however, this particular potion cannot be weaned off of unless given an antidote to prevent the chemicals from previous consumption from activating again. If the user tries to go cold turkey, their mind slowly decays into insanity, often resulting in self termination. To slip such a concoction into anothers drink and not give them the means to get more is to sentence them to death. As such she only sells this to people she would deem weak minded and able to be easily manipulated to work for her for nothing. The recipe itself is a closely guarded secret and generally, not for sale. 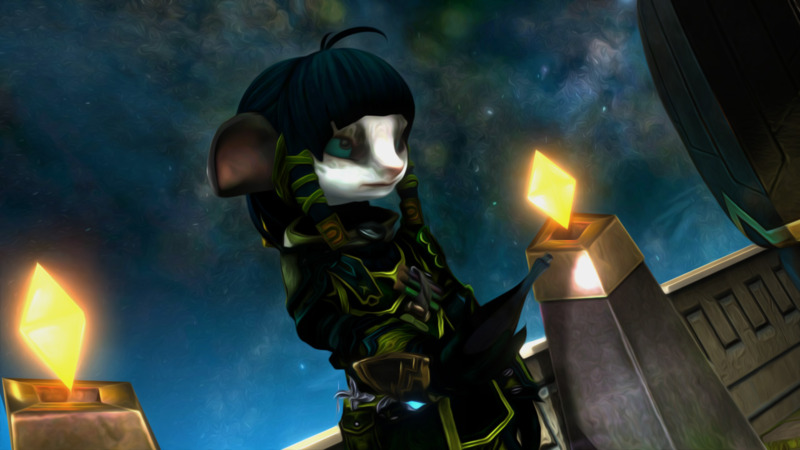 Personality: Veera is a hard Asuran to read, she act’s generally pleasant to her closer acquaintances and even endearingly enthusiastic towards any potential customers. But whether her interactions like this are sincere or merely just a cover for her own suspicious activities is hard to discern. One can witness themselves what Veera is really like when they are doing work for her, or simply alone with her, revealing her more selfish desires and general lack of empathy towards others. She shows no signs of prejudice towards the other races and seems generally indifferent to inquest or otherwise illegal activities. “A customer is a customer, regardless of race or affiliation.” She’d tell you. She has always shown a general disinterest towards magic and magic users, perhaps even a hint of jealousy as she has no extensive magical capabilities herself, instead making use of her alchemy skills as a substitute to compensate. 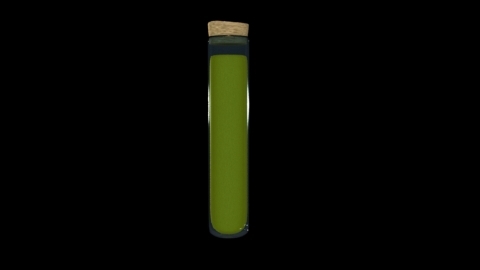 This also allows her to be greatly innovative with her potions and elixirs, creating bombs and potions that have effects similar, yet unique to others own magic. To Veera, alchemy -is- her magic. Recent history/Current Story: Veera used to work as a smuggler in Divinities Reach, transporting illegal black market goods for mercenary groups before being picked up for recruitment by the order of whispers for her sleuthing and subterfuge skills, where she received some advanced training working with them for several months. Very few of her acquaintances even know of her association with them, keeping it a closely guarded secret as would be expected. She left her business in The Reach two years ago to pursue a greater goal and set up shop in Rata Sum. She Started working with the Magimaterial Krewe at the same time as a cover where she served as security. 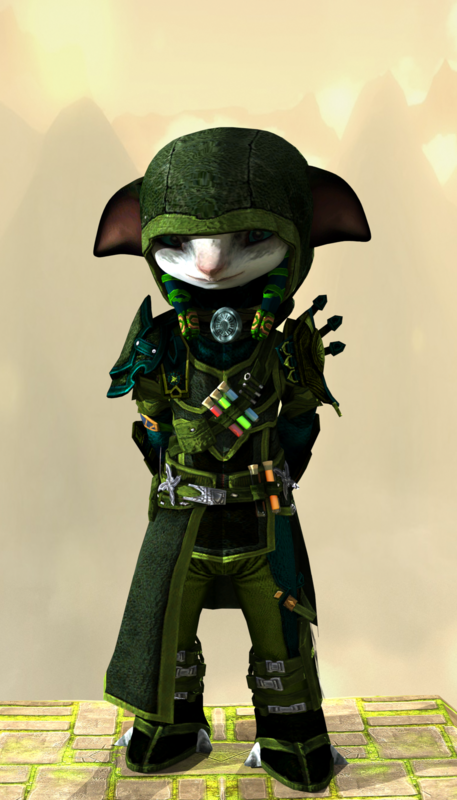 Holding a respectable position in one of Rata Sums more prominent krewes granted her legitimacy and distracted from her other activites, she had remained loyal to them throughout her service. She continued to operate her smuggling business in the city for a while on a smaller scale than before. an apparently unclaimed area for her profession, or so she thought. An underground conflict developed in the underbelly of Rata Sum between Veera and another smuggler, she managed to stand firm on her ground and he retreated back from whence he came. For now things seem quiet and she retains control of the territory, but who knows what other threats skulk around the corner, business is also getting quieter..
She took interest in creeping into the lives of others. attempting to peel personal information from them to be maliciously exploited later for her own gains. She remains cautious and distrusting to most of those who try to get close to her to protect herself, only a select few are privy to her secrets, and even fewer know the extent of some of her actions. For almost a year she maintained a comfortable and trusted position within the krewe and, despite a few recent mishaps, things went smoothly. She eventually started taking more risks as well, and a fear rose within her, one that consciously crept up her spine like a slithering snake. A fear that she was treading a dangerous line between her two lives, in and outside the krewe. A fear that soon came to fruition.. She was betrayed by another, her dealings exposed to them. She was dishonorably fired for her activities, something she hadn't taken lightly after her time dedicated to them. They wouldn't listen to her reasoning, they think she's some sort of monster.. This just isn't true.. At least she convinced her self that much. Since then she sought a way to get some coin out of the krewe though a 'salvage' operation. Unfortunately for her it failed with one of her agents captured and imprisoned. She soon turned herself in and negotiated a deal with the peacemakers to have her agent released and her put in his place. She knew she wouldn't be long in there anyway, and she was right as she was released after a few weeks into the custody of Inventer Lekk, CEO of a mining company out in Metrica. He negotiated a deal with the peacemakers to have her be punished by working in his mines, unfortunately for him his transport was ambushed on route and she was freed. After her escape, she operated quietly in Rata Sum for some time. However. with her reputation tarnished, her law abiding acquaintances abandoned her, and her business had a shrewd eye cast over it whilst she remained there. So she decided to leave, clearly she was not welcome. She took what she could carry on her pack Dolyak and Golem, and traveled, in search of a new, more prosperous land to pursue her endeavours. On her travels she was soon picked up by her old associates from the order of whispers. They directed her in the direction of the city of Amnoon, in the Crystal Oasis. She lived there for many months expanding her black market business, eventually getting the attention of the Hamaseen, who she soon ended up supplying poisons to among other supplies. She rented out a space in Dhianni's secure lab, continuing her business uninterrupted for quite some time. After establishing a secure base, un-harassed in the city, she now travels back and forth between Amnoon and Lions Arch, selling her wares where she can, and becoming a notable Profiteer of The Sirens Black Market, where she can always be found. "Shh, come closer." ~ Veera lurks at night. To preface this, I am updating this regularly for information's sake if anyone is interested in what Veera's current situation and history is with them, while also trying to keep some details vague about others details to not spoil anything. If you're on here and are not happy with wrote Ive wrote, please tell me. After joining the krewe relatively early into it's conception Veera had requested to be put into the security team, generally keeping low key throughout career with them. She acts convincingly respectable towards him, occasionally offering consular advice and information. She has been in hot water with him and Bynji for some of her more shady practices, though she always seems to have a way to spin it in her own favor. Generally, she seems loyal to him and the krewe. She had heard some light rumors a long time ago about his past but never took real notice, however recently her interest has been rekindled after hearing the same rumors again and now, she is trying to figure out whether they could actually be true. Regardless if they are, these floating rumors can always be brought up again to stir conversation. After a long term of dedicated service she had been promoted to Senior Security, being reliable and present lends her credence, making her a valuable asset to them. At least for a time, for her private dealings were soon exposed by another and she was fired. Vedious knew where and when she would be a certain place, he couldn't have just known.. Someone had to have told him, and this individual, this... Betrayer that ruined Veeras career. Veera intended to find out who this was. The leader of her old krewe, Veera had been a model employee from when she first joined, at least until the incident with Qzanna anyway. After a while with them Veera eventually stumbled into some information about Bynjis past, after she had her suspicions confirmed she decided to stay muted about it, perhaps the knowledge didn't affect her opinion of her, or maybe she was simply waiting for the opportunity to use the information against her. It may have been the latter at first but she had since warmed to the krewe and it's members, seeming genuinely concerned with it's affairs and it's security. 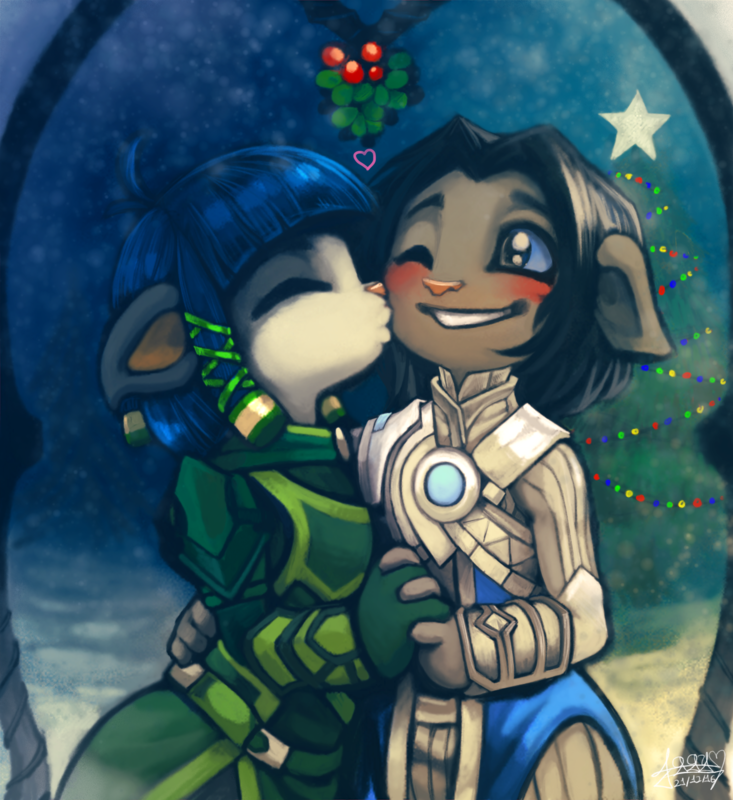 That is.. Until she was exposed and expelled from their ranks..
Veera can occasionally be seen conversing with this unusually anxious Asuran. He seems obedient, almost fearful towards her and she appears to treat him in a lesser manner than she does others, treating him with the malice and spite of a lifelong enemy. She exerts control over him through an undisclosed means only few are privy to to do her bidding when she wishes and so far, he seems powerless against her and remains as a servant to her whims. She had been discussing his 'employment' opportunities with someone else and tried to distance him further from herself. Something she was unsure about doing, but believed it may be for the best so she could finally move past a dark chapter of her life. If only it were so simple... As this 'deal' did eventually take place and he has since left her side, but at the same time this happened she was ejected from her krewe for shady activites.. A coincidence? She thinks not. She soon found out about his little anonymous letter to the MMK, unfortunately for Kezzik she was no longer going to draft any more of his 'medication' which he needs to survive with his sanity. She revelled in following him watching from the shadows as he sought an alternative source, she looked on from a distance as he spoke with Joxx, later verifying his attempt to swindle the recipe from him. She saw him go to Qurikk, watching with glee as he plead his heart out for sympathy and aid, knowing there was little they could do. She recently learnt he his contract was terminated with the person she transferred him to, with no one controlling him she knew he would seek Veera out as soon as possible. She knew he knew there was no way he was going to get the recipe from her, so the only answer for why was revenge, to kill her before he was driven insane from withdrawal. He failed. Veera captured him, and he dissapeared from view for over a year. Most assumed he was dead, but he has since resurfaced, his appearance changing drastically. An inquest agent Veera frequently converses with, his augmented appearance doesn't appear to phase her in the slightest. Displaying a more morbid curiosity towards him. little did he know though in their times conversing she had stolen some of his own work on order from someone else. Duplicating it to counter anything he would intend to develop from it. Though she has since disregarded her original orders and is now pursuing a more selfish avenue, waiting for the opportunity to use her new found knowledge to extort him on threat of revealing some of his more... Secretive plans. She leveled with him straight what she wanted, he must reveal the guilt of her suspect or she would reveal his usurping plans to his superiors, a death sentence for him. Yet, he refused.. She gave him time to think it over before asking him one more time. On that attempt however, he remained stoic with his answer and attacked her with his golemic claw. Veera threw down a smoke bomb to avoid his strikes and mask her escape, she left angry and dissapointed. She would now carry through with her threat and inform Jinn's superiors..
Veera did, indeed motion to carry out her threat. She had set up a meeting to inform them of his plan to usurp them, and was about to imminently meet for the discussion. However she was stopped as far as only telling them that someone was going to try something, no names mentioned. She had been sent a message, and was convinced by another to refrain from sending Jinn to his death just yet. Backpedalling, she said she was mistaken and backed out, a suspicious action no doubt. She quickly sought out the one who messaged her and got her explanation, satisfied, she agreed with the individual that Jinn lives. 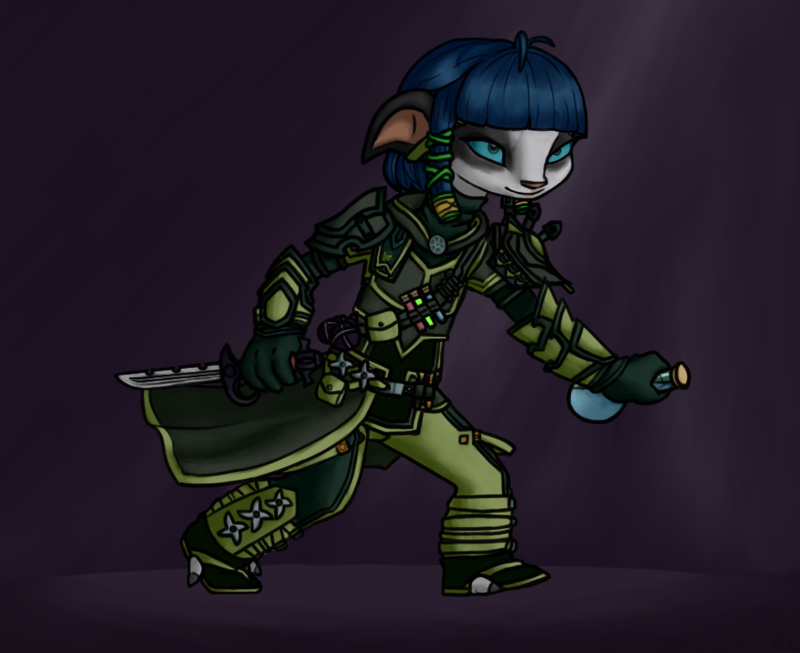 An Asuran she only had passing knowledge of until meeting him personally in more recent times, through a few short dialogues she has since become more interested in his activities and plans. She thinks he thinks he and her share some similarities and separate strengths that could be better used combined, showing an almost sincere eagerness to work with him should the opportunity arise. Though she remains careful to not overly expose herself to such a notorious individual, not through concern of her own safety, but of her image in the eyes of others. During one of their meetings she had traded him a very special recipe of one of her most treasured potions for one of his own, a decision she feels she may end up regretting. The power that potion can bring is not something she wants to see abused, or used to steal her own customers. They met again at a later date after Veera had been tailing Kezzik in his quest to supplement his addiction. She convinced him to refrain from providing the recipe he sought after they exchanged their usual pleasantries, Joxx invited Veera for a meal and some drinks at a later date, though she has yet to take him up on the offer. A young progeny Veera holds grudge against. She had given her some stargazer elixirs to 'help' with her studying, though she never really cared about Qzanna situation, just what coin she could squeeze from it. Qzanna betrayed her trust however, alerting Veeras krewe to her actions. Being blessed with a silver tongue she managed to talk her way out of any serious consequences for being caught out, only losing her security clearance for a few weeks. She has since set out to seek revenge against her for her betrayal, her eyes set on Qzanna's in progress Aura reading device. Qzanna's device did eventually break under 'mysterious' circumstances, though there is no way of knowing whether Veera had a hand in the matter. 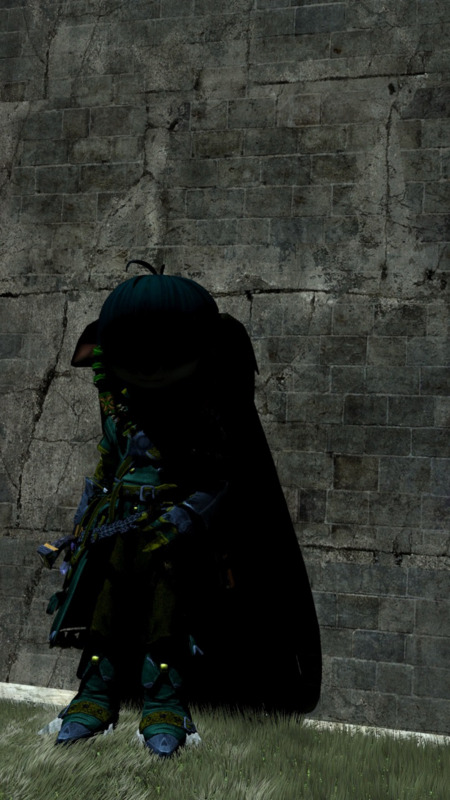 An Asura who Veera had met before, but he now no longer recognizes her or anyone else it seems. She had responded to a request to help him seek asylum from authorities while he recuperates and recovers, taking him off the hands of a human mercenary known as Savagast. He currently lays at rest in her own lab, the location of which noone else currently knows. After a little over a week of recooperation he finally woke up, though his weapons had mysteriously vanished, did he come with them or not? He's not sure, that's certain. After spending a few weeks in the lab Veera became impatient with him, now expecting him to pay some dues in order to remain, he told her he was broke. But there was another he knew that could get her the money she demanded. This money was however never delivered, Veera had had enough and expelled them from her Lab. After a short leave of absence Veera had accidentally revealed the information to Vedious, she had already told Bynji but the information was not passed and was speaking on an existing presumption of knowledge. Needless to say she did not expect Vedious' immediate reaction, suspending and isolating Tikkux from the krewe with immediate effect. She had not seen him for several months since, until fate had them cross paths once more. His timing couldn't have been more convenient as she was looking for more acquaintances after she had been ejected from her krewe the day they met again, and Tikkux was looking for work. They set out on a smell expedition to 'salvage' some materials from a 'malfunctioning' MMK transcommunication towers, the scrap collected to be sold for a large amount of coin. Unfortunately it didn't go as planned and they where interupted, Tikkux was captured and only a minimal amount salvaged. Soon after Veera saw Tikkux taken into custody in Rata Sum, she worked out a deal with the peacemakers that would bail him out of jail, with her put in his place. For a few weeks she schemed in her cell as an opportunity arose to have her released, Tikkux was there to 'assist' with making sure her transport to her destination was not going to arrive. He proved to be a valiant ally, one which Veera held close until he became overcome with corruption and met his untimely demise. A peacemaker mortician in the krewe that Veera casually converses with. She treats him respectfully, being generally courteous and supportive when she can, even helping him with his insomnia. Why she does this? Who knows, maybe she just wants a good character reference should things turn south as he is in a respectable and trustworthy position. She has tried subtle prompts of coercion to get some sensitive information from him, but he seems to be very stoic in his beliefs to do the right thing. Calagg and Veera had been in the MMK almost the same length of time. Their personalities did not mesh considerably well together, Veera being reclusive yet stern with a hint of mischief, Calagg being Boistrous Breezy and almost comical. They usually only talk when working with each other when required as she finds his overly confident attitude and inscrutable stature personally grating to face outside of work. Though this doesn't stop her from trying to act friendly towards him when he's around. Since the krewe disbanded she hasn't really spoken to him. A merchant that sells alchemical supplies and exotic herbs and spices, Veera had started to trade with her in the search of some more rarer herbs for use to research. Though during transit of the delivery of her first order Veera's courier had been ambushed, she did manage to recover her goods at the cost of abandoning him. But she believes he'll be back to work for her again soon enough. About a month after her last encounter she contacted Seyda again, this time in search of some herbs to draft a special type of poison, Seyda was happy to oblige. Veera showed up at the requested meeting point but was not greeted by her. Instead by what looked like mercenaries, she was escorted by them to the meeting point where they eventually made their trade. Instead of the herbs she had initially asked for, Seyda had brought in another individual who had pre-made the poison Veera would of drafted herself, what a time saver! And at a lower price than she expected, she paid for half the asking price for half the contents. She didn't need it all anyway. But this required re-measuring the liquid so a pickup was required. One she could not be present for, fortunately for her she had some of her krewe members collect the parcel for her, it went off without a hitch and none of her krewe peeked at the package. Since then Veera set up a deal between Agathon Imports and Exports and the Magimaterial Krewe, exchanging some samples of the krewe's potions to secure a resale deal. Outside of that however Seyda has sought Veera out for something of great importance to her, they have negotiated a trade deal over it. Veera was reluctant to let it go, but she decided now was the time for her to move on, and she trusts Seyda will handle it as she expects. Something she has always been unsure about doing. The deal went off without a hitch and was completed as planned. Though afterwards Veera suffered some considerable consequences she did not expect. She hasn't spoken to her since, though she has a rough idea of who may have caused her her problems. Some time later she receiver word from Seyda, confirming a severance of communication with her as agreed as part of a deal with another they both know. A recent customer of Veeras, she had sold him some of her standard Nightshade poison for 'self defence' purposes as he stated. But afterwards had another more unusual request for something from the MMK, and to have no trace of the purchase. Veera considered the offer, willing approving of it but she was required to run it by her superiors first to get clearance for such a transaction as it would krewe funds she would be spending. After failing to get permission to persue the project from Vedious and Bynji, deeming Thexin's demands 'sketchy' and 'inappropriate' she returned to him to inform him. Fortunately for her he had a new request, a poison that wouldn't kill, but show all indications of death. Something Veera could help him with and use her own supplies for. She did not press him much to find out who it was that was to be faking their death, she has a feeling she would be finding out soon enough. She gave him an estimate and went on her way to peruse such a poison. A curious individual Veera remains distanced from, she doesn't like her generally carefree, joyous and eccentric nature, she doesn't like that about a lot of people... She looks down on her lack of professionalism, showing off her skills at any convenience removes any element of surprise she may have, though her book of tricks has likely not been spent yet so she continues to keep an eye on her. Based on their interactions Veera thinks Spotte is unpredictable and not to be trusted, such an ecstatic Asuran can be hard to comprehend and predict, this makes Veera cautious. Is she really the happy joyous Asuran she is, or is she just pretending to be? Veera was known to be compliant and upstanding during krewe undertakings. Always willing to help and offering herself as leader during many tasks, acting generally pleasant overall. Since the incident with Qzanna some of the other members, Notably Carmera and Minna had begun acting colder and more suspicious towards her, and with good reason. Outside of work she never really interacted with the other krewe members much, she often falls quiet around them, seeming content with silence unless speaking one on one. An ear listening to every word that spills from their lips. She was more recently fired for illicit activities, the krewe itself disbanded shortly after, a coincidence? Probably not, but enjoyed a bittersweet laugh at it's demise after their 'unfair' dissmissal of her. These are some short stories pertaining to event's that happened in Veeras past that shaped and formed the character she is today. Most of which take place over five years ago. These show some of her developments through hard choices and tough decisions for herself and others well being, the truth's she obscures, the mistakes she burdens and the morally grey line she continuously rides. Any role-play preferences or limitations for this character? As long as Veera doesn't die anything can be fair game outside of serious maiming. Preferences wise, on the criminal end, I like use Veera to create conflicts between her and other characters, hopefully making RP more interesting for all those involved. This can be simple things like overhearing sensitive information to be used to threatened, or stealing an item of importance that could cause repercussions for the affected character by other people. On the other spectrum, using opportunities for trade is a good way to get on her 'side' where she can be a rewarding business partner, creating opportunities for other neer-do-wells to get along. Updated with numerous new details, as well as more images. Quite a few more updates and images! More continuous updates on Veera's Notable relationships! This sheet never ceases to amaze me, and I'm not joking. You have filled in every single detail we need to know about this character without giving too much away. Great quality! Time for another update, still active and still kicking!